Dr Nathan Kilah is an ARC DECRA Fellow in the School of Physical Sciences in the College of Sciences and Engineering. He is interested in the application of halogen bonding for new molecular materials. Nathan completed his BSc Hons in 2003 at the University of Queensland, and his PhD in 2008 at the Australian National University. He was awarded a Royal Commission for the Exhibition of 1851 Science Research Fellowship (2008-2010) for postdoctoral research at the University of Oxford (UK), and was subsequently awarded an Alexander von Humboldt Research Fellowship (2011-2013) for postdoctoral research at the Philipps-Universität Marburg (Germany). He commenced as Lecturer in Synthetic Chemistry at the University of Tasmania in January 2013, and was recently awarded a Discovery Early Career Researcher Award for 2015-2017. Nathan's research interests are in synthetic chemistry, and are focused on the design of molecules capable of self-assembling in solution, and of recognising small molecules. He is also greatly interested in the applications of complex and diverse inorganic stereochemistry. Solution phase studies of assembly and small molecule recognition are conducted primarily by nuclear magnetic spectroscopy techniques. Solid state studies are conducted by X-ray crystallography, including the use of both in-house and synchrotron radiation sources. The properties of substances we experience in our daily lives owe much to very weak interactions taking place between molecules. Consider a cup of coffee: very weak interactions hold the water together as a liquid, and result in the biological action of caffeine within the body. The project will develop new materials based on an underexplored class of weak interactions known as halogen bonds. These interactions will be used to assemble large molecules in solution, probe the presence of pollutants in water, and to separate active and inactive forms of pharmaceuticals. The development of health and environmental applications in the course of this project will significantly enhance our fundamental understanding of these weak interactions. 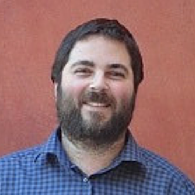 Nathan is currently supervising undergraduate, honours and PhD research projects. Please contact him by email if you are interested in pursuing research within the Kilah Group.